Great news for Android smartphone users!! You can now buy a variety of items directly within their mobile phone application using their Globe prepaid or postpaid load. Both apps, Manila Rush and Cherry Dots, can now be downloaded for free on Google Play and are pre-installed in all new smartphone releases of Filipino phone manufacturer Cherry Mobile. Other developers are also encouraged to integrate the operating billing feature Globe Labs – Charging API (Application Programming Interface) in their apps so that Globe smartphone customers can easily avail of the mobile in-apps. The amountspent would simply be deducted from their existing prepaid load or be charged to their postpaid account. 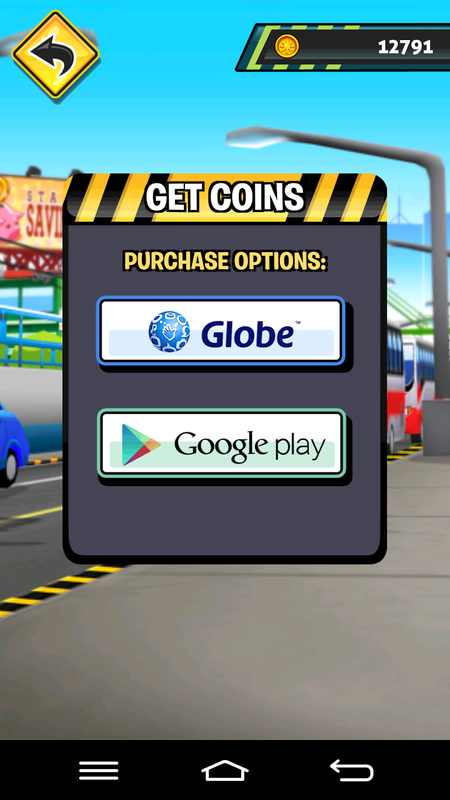 Cherry Mobile also believes that collaboration with local developers such as Anino Games, the Philippine pioneering development studio, would allow everyone access to games that are more relevant to Pinoys in terms of content and payment accessibility through the help of companies like Globe Telecom.